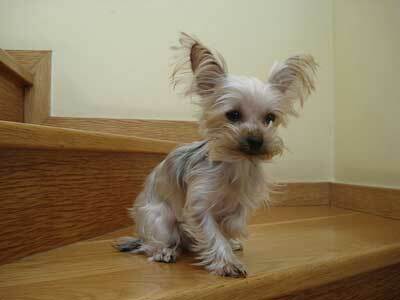 The coat of a standard York shire terrier is long. It is soft, silky and gets knotted easily. The hair of the coat is trimmed in order to make it easier to maintain the coat. If the dog is required to participate in shows, the coat is left uncut and parted along the middle of the back and combed downwards. 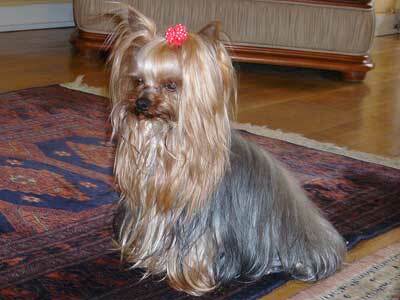 Yorkshire terriers are those canines which have a coat which is soft, silky and long. This can be styled in many ways which make them appear more attractive. In order to maintain the coat, one should indulge in regular grooming. For some who do not intend to make their pets participate in shows, trimming the coat in order to facilitate easy maintenance is preferred.